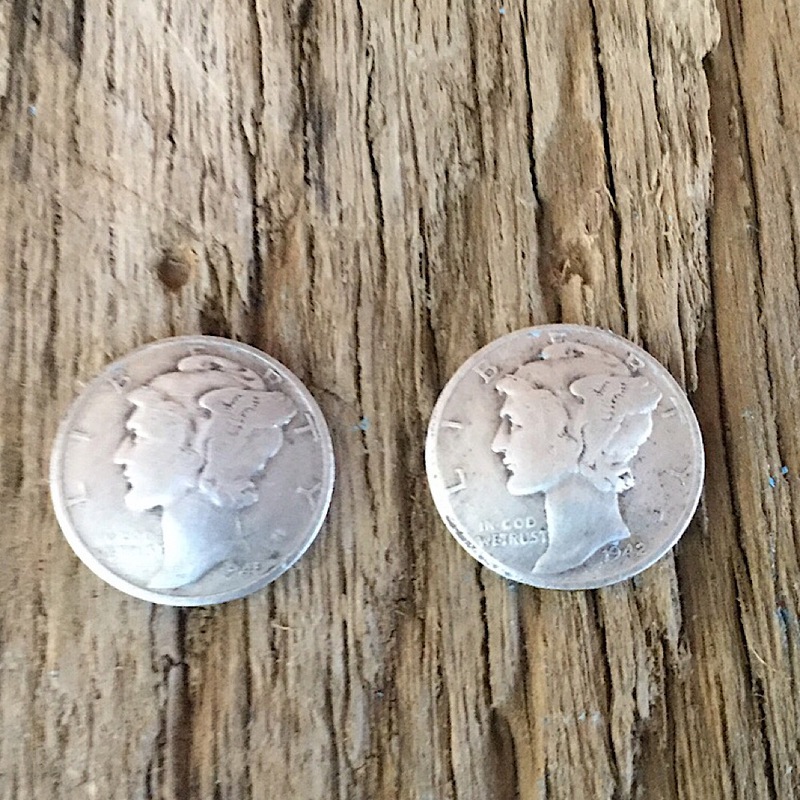 Mercury dimes on post. 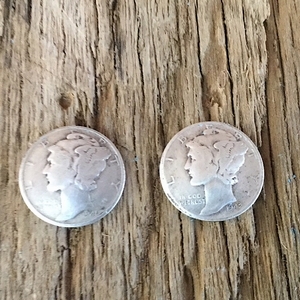 The wings on the head of the dime represent freedom of thought in mythology.These coin jewelry earrings can be made from your coins for $10. These handcrafted coin jewelry earrings are made in the USA.